I don’t know if I’ll ever be good at making macarons. I’ve been trying to learn how to make them well for almost exactly three years now and this is my first batch ever that weren’t too sticky or hollow in the middle. 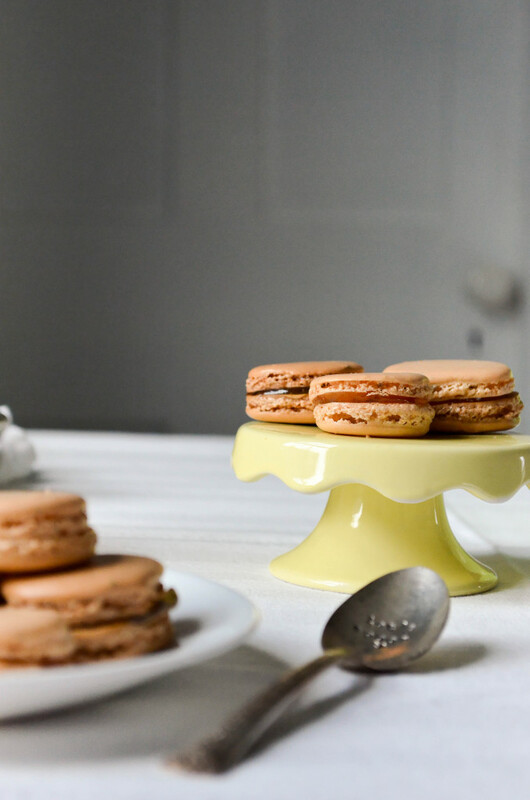 I’ve never had trouble with the pied (the pretty, bubbly bit) but I’m still confused about how to macaronnage properly and I’m lucky if I get a handful of cookies to come out perfectly round. 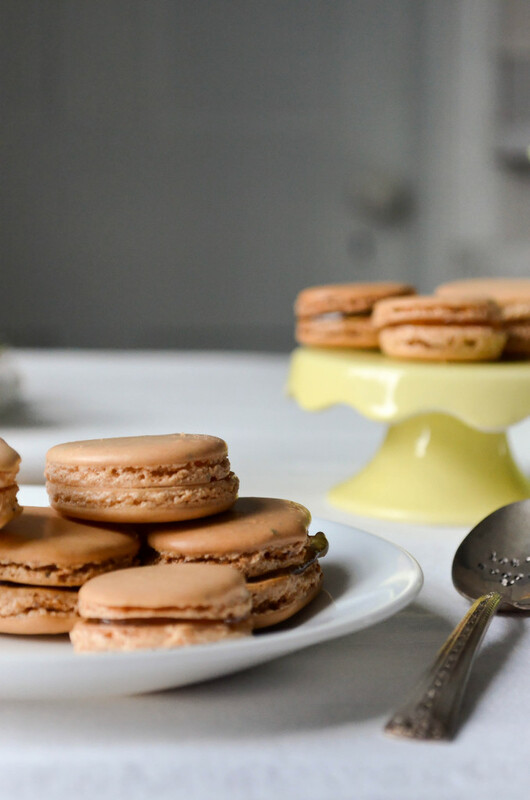 Macaron recipes appear deceivingly simple with only five ingredients that come together quite quickly but there are a lot of opportunities for mistake that make these cute little cookies difficult to master. 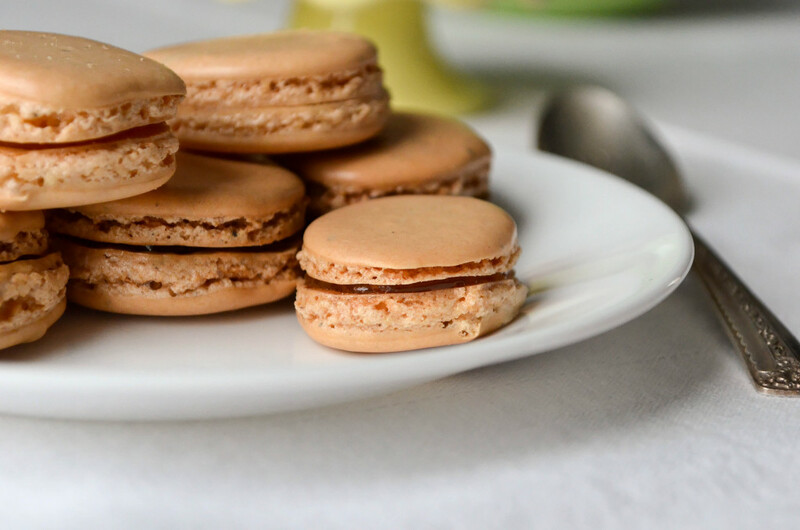 The best part about making macarons, and the reason I keep trying, is the literally uncountable number of flavour, colour, garnish and filling combinations you can make. 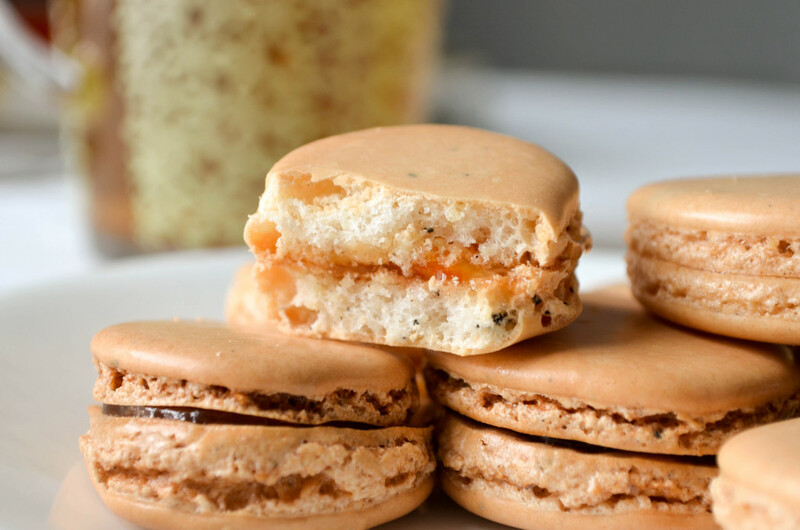 This time I tried out an idea for smoky black tea macarons with orange marmalade filling. 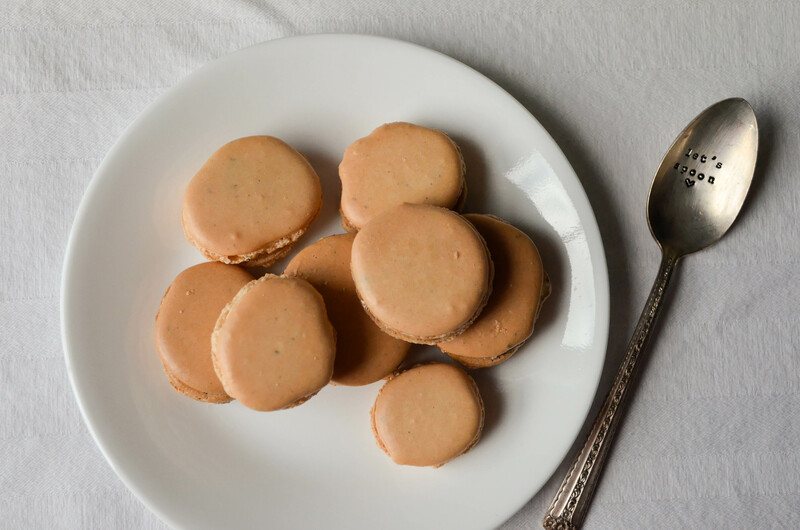 Using the macaron recipe from I Love Macarons by Hisako Ogita and following her flavouring tips, I added 1 tsp of smoked lapsang souchong star loose leaf tea, that I first crushed to a finely ground powder with my fingertips, to the dry ingredients before mixing them into the meringue. I decided not to colour the cookies with any food colouring. 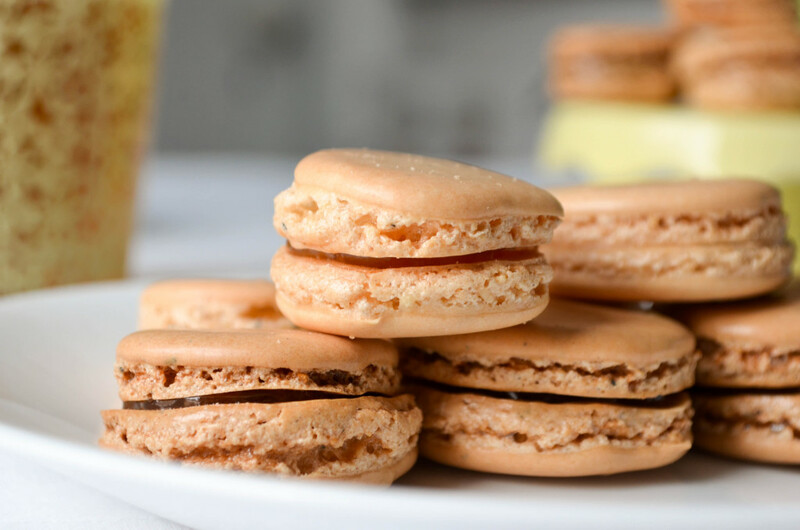 Then, because I’m not a huge fan of making or eating traditional buttercream filling, I chose to just fill the macarons with orange marmalade. 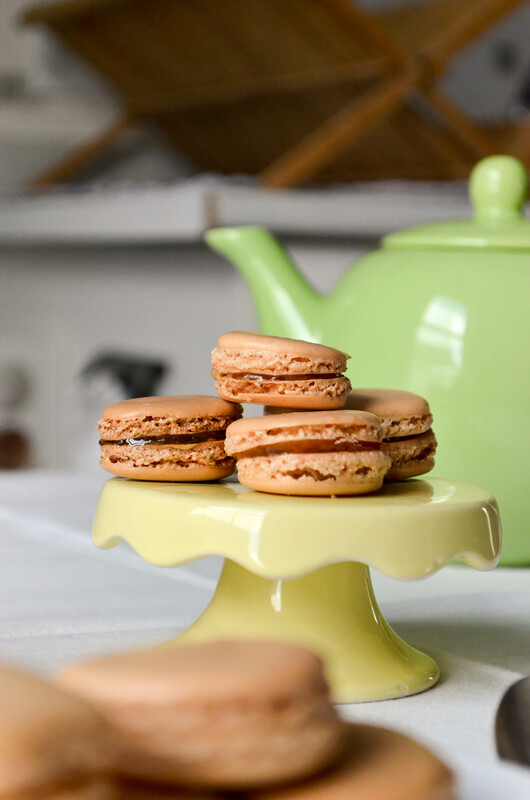 The end result is a naturally peach coloured nutty, smoky, sweet citrus cookie perfect for a grown up tea party.